In the hair over a decade they’ve been together, Brooklyn’s Woods have been wildly prolific, releasing nearly an album a year in that time. Next Friday, it will release its ninth record, City Sun Eater In The River Of Light, which sees the band continuing on its psych-folk trajectory. Today, The A.V. 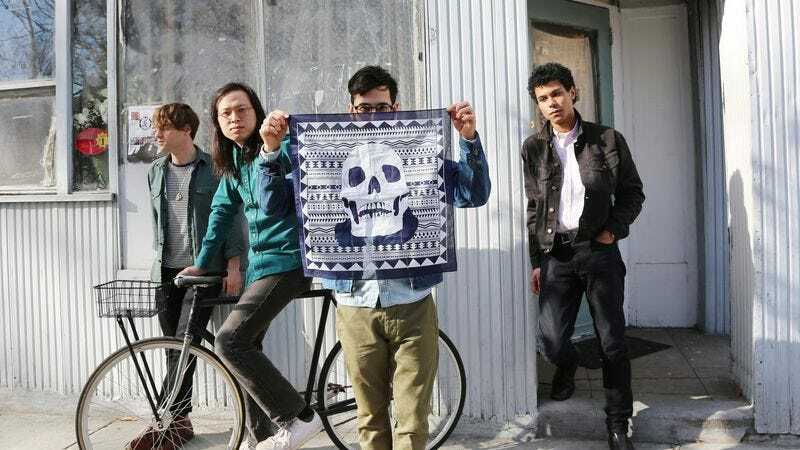 Club is streaming all of City Sun Eater In The River Of Light ahead of its April 8 release on the band’s very own Woodsist label. Throughout City Sun Eater, Woods shows its ability to offer subtle variations on its standard sounds, making for a record that takes some big steps while retaining the warmth and familiarity of a ’70s classic-rock record at every turn.